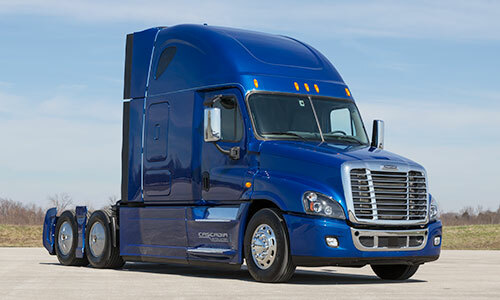 Ideal for temperature-controlled loads, the Freightliner Cascadia® and Cascadia Evolution® bring the coolest technology to the coldest of loads. 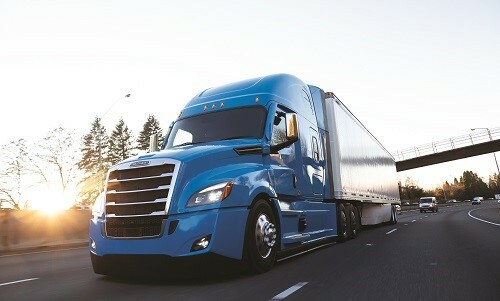 Equipped with advanced aerodynamic enhancements and the latest engine technologies, they’re designed for impressive fuel economy—even when hauling refrigerated trailers. Whether you’re hauling food, flowers or pharmaceuticals, uptime is the key to protecting sensitive cargo. 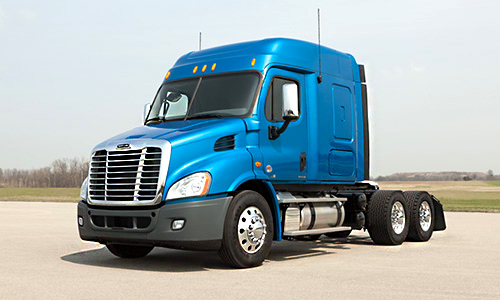 With fewer parts, easily accessible with enhanced serviceability, Freightliner® trucks are engineered to be easily maintained for increased uptime. Real Cost of Ownership is more important than ever. With our extensive service network, competitively priced replacement parts and long-term durability, reliability is delivered by a truck that’s ready when you are. That’s what we call running smart.